The Transcend Xplor starts at the top of its class by offering customer-focused design, built-in quality, and the industry-leading warranty that is expected from a Grand Design. It’s time to get out and Xplor. 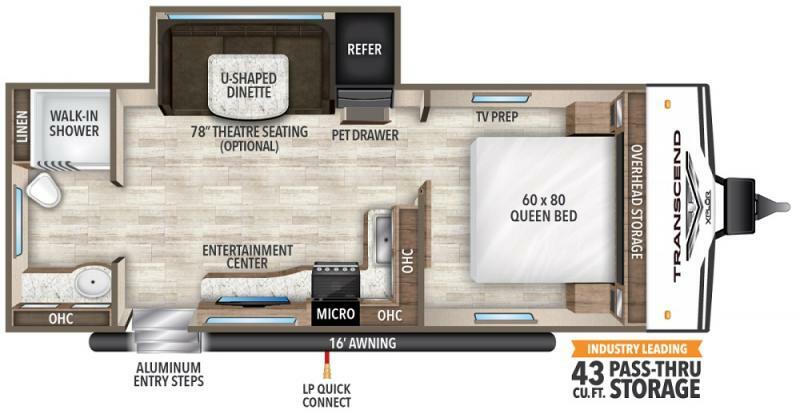 Contact Affinity RV for details on our 2020 Grand Design Transcend Xplor 221RB and start your RV dreams today!